Our team of scientists and pigeon fanciers has been actively developing and testing pigeon health products for more than four decades. Consequently, chevita GmbH is among the world’s leading manufacturers of a complete range of products especially designed for pigeons. Our success is also based on our policy of continuously developing, improving and extending the product range, but above all on the high quality standards which we demand of our products. We exclusively use active ingredients that have been rigorously tested in order to establish their suitability for pigeons and conclusively proven to be efficacious in this species. It goes without saying that the substances that are incorporated in our products are subjected to stringent tests specifically designed to demonstrate both their safety for pigeons and to reveal any side-effects. 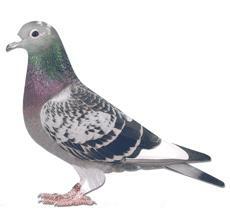 These tests are also, in part, intended to avoid adverse effects on the performance of racing pigeons. (Needless to say, none of our products contains substances that are classified as doping agents.) Because we firmly believe in a practical approach to problem-solving, we are grateful for any suggestions and hints that we receive from vets or pigeon fanciers. So don’t forget to pass on to us any relevant experiences and problems that you may have in this regard.